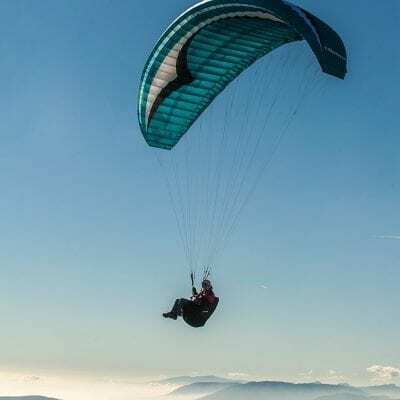 A paraglider with ENa certification is designed to be the easiest wing to fly for complete beginners upwards. 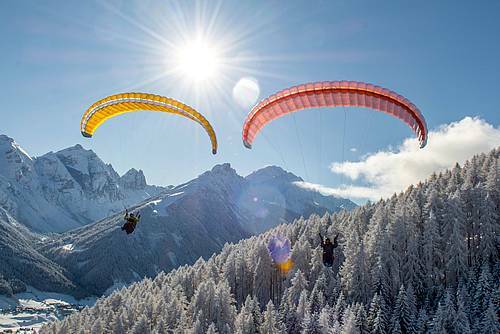 All beginners paragliders will be ENa with the exception of some low-level ENb wings. Absolutely none apart from the obvious basic training. 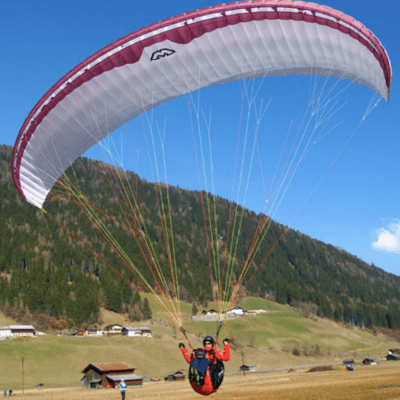 ENa paragliders are designed to be flown by all pilots from complete beginners up. 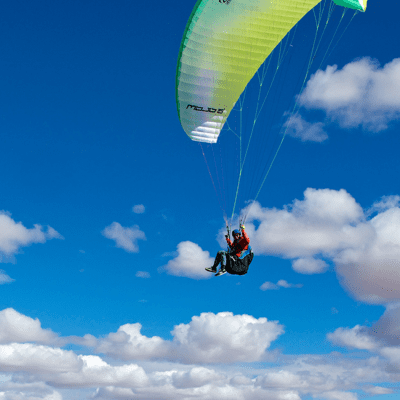 Paragliders for beginners need to be as easy as possible for someone new to the sport. 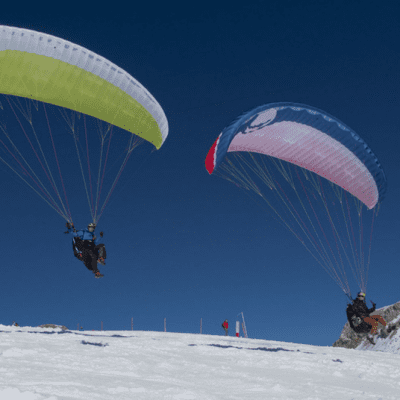 Basically the highest level possible in the sport of paragliding. It is designed so that in a situation of instability, the pilot will need to do very little other than raising their hands and the wing will for most parts sort itself out. If the glider was to say take a deflation, the correction would be almost instantaneous with no input from the pilot being required. 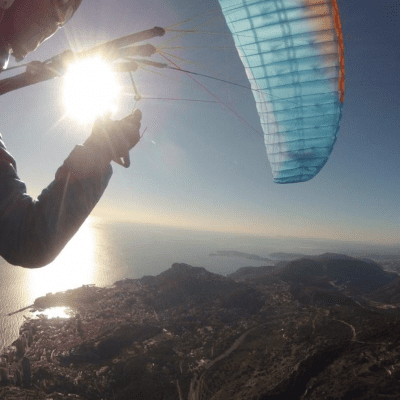 The easiest and safest of all the paragliding certification grades. As easy as it gets to help beginners and pilots with low airtime hours. 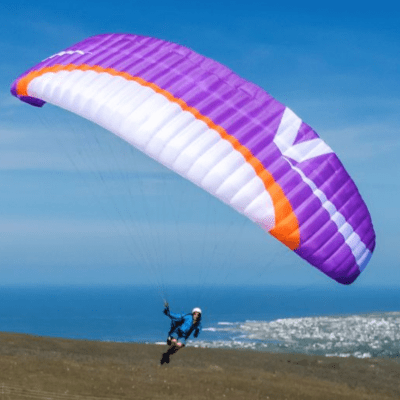 Beginners paragliders designed to be as easy as possible with the fast rising and overshooting that can occur in the higher EN categories. 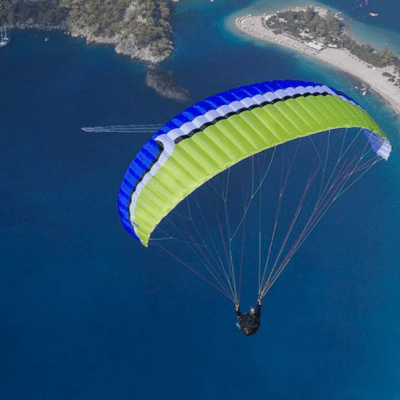 A paraglider for beginners will also be designed to have a high level of pitch and roll stability making the launching and ground handling phase as easy as possible. 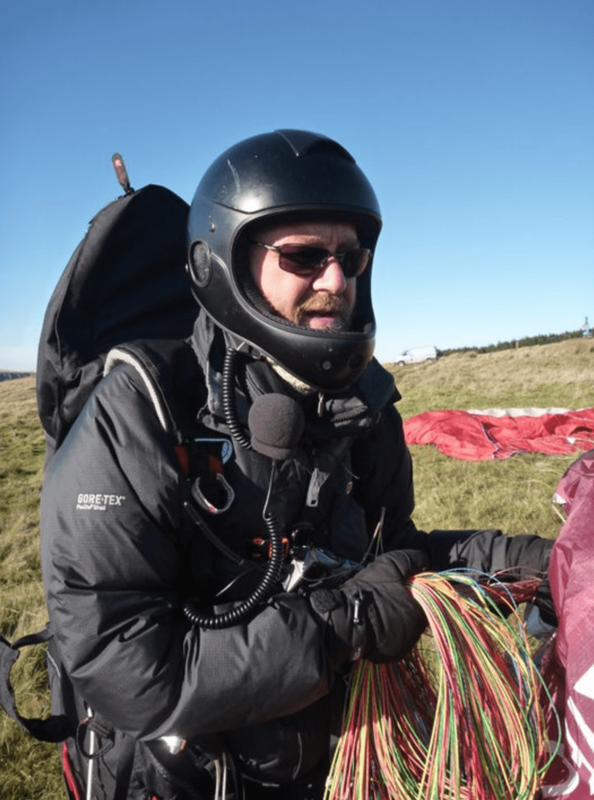 A few years ago, beginners paragliders were very stodgy things to fly but this has now changed. 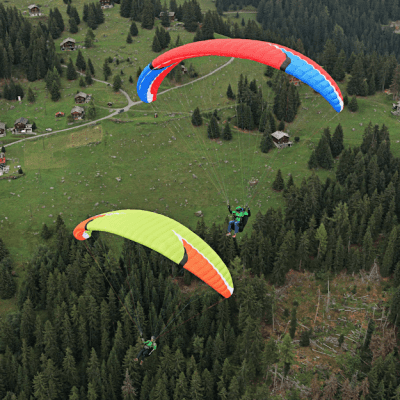 New ENa gliders now display sweet handling characteristics that a beginner can grow into without the demands on the pilot being too great. Controls on an ENa glider will be fairly dampened together with long brake line travel that will protect the beginner from accidental heavy control inputs. Even so, the response can safely be increased if needed just by taking a simple wrap of the brake lines. 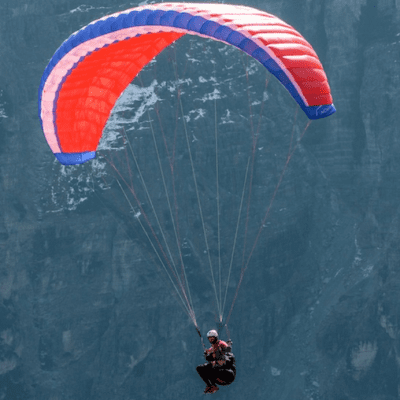 High sensitivity comes with performance paragliders but this would be avoided with paragliders for beginners. 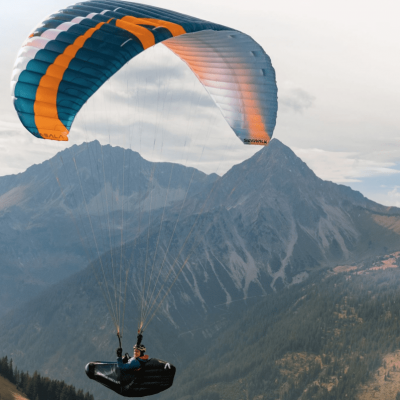 Up until fairly recently, if you were to buy an ENa paraglider, you would be looking at upgrading sometime in the near future as you quickly outgrew the wing. Those days it can be said are well and truly gone. The new designs are now capable of glide angles (L/D’s) of 9 and above and pilots are now achieving cross country flights of over 100k. Some instructors are now saying that unless you are capable of flying over 100kms then the wing probably isn’t holding you back! Unfortunately, history is obscuring just how good these gliders now are from the beginners that are demanding low-level ENb wings, as they believe that ENa isn’t good enough for them. This is a pity as a lot of great designs are still being overlooked. In the early days of your new sport, quite frankly, you can do with all the help from your glider you can get. 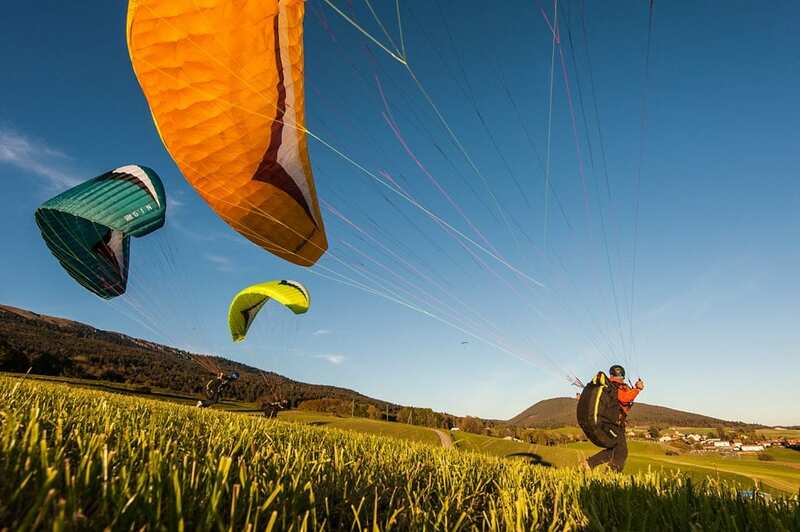 ENa beginners paragliders are easily capable of cross country flight in the right hands and conditions. 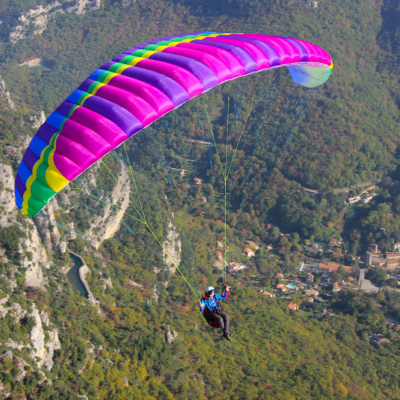 Even though ENa is designed with the complete beginner in mind, the gliders are suitable for any pilot; even someone with a lot of experience looking to chill out and just enjoy the flight and views without ever having to think about the wing above their heads. If you want to fly cross country, they can do that as well. Question. Are all the paragliders here ENA cert? Hi Tyrone; all the gliders in this section are ENA and mostly aimed at beginners but the performance is so good these days, pretty much anyone can fly one. Are you looking at anything in particular? hi Paul, ive been messing about with a 1999 flying planet wing i bought on ebay and i havent had a realy decsent flight from it yet but been doing a lot of ground handling and starting my training a week on saturday . i was just wondering how this would compare with a modern wing ? ps do i owe you £60 for not turning up for training about 5 years ago ? Hi Stephen. Gliders have changed a lot since 1999 so to answer the question, your 18 year old wing isn’t going to be much like the new stuff we now have. The newer gliders are even easier to ground handle than they used to be. I really wouldn’t try to fly that glider. All the flying planet wings back then had substandard lines that degraded very quickly. By now there is probably hardly any strength left in them. One deflation and the whole lot could unzip on you. Have fun with the training and if you did owe 60 quid there is no way I can remember that far back! Hi David, I guess that is what instructors are for! There are differences between certain gliders and it’s important that it fits your aspirations. As always, I’m available for advice if you want to email or give me a call. 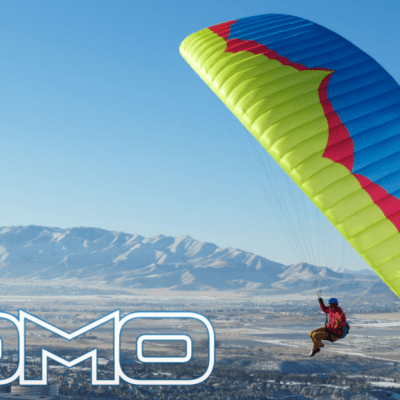 Is the new Ozone Atom 3 the best or one of thebest EN A gliders ? I am looking at a blackhawk kestrel 125cm, and need to find a wing to match. New to the sport and weight 185lbs. Any recommendations? I am a beginner and looking for a great first wing. I was deciding between the Atom3 and Gin Bolero 6 .. what would you recommend and why? Thanks for your help! Hi. I would say either of those 2 wings would be a good choice for a beginner. The Atom can very much be used as a school wing but the Bolero may just have the edge in performance.